SUPA School of Physics & Astronomy, University of Glasgow. We have just published our 36th UKSP nugget bringing us to 3 years of highlighting solar physics research led from the UK (see Figure 1). To celebrate this anniversary we have created this special nugget, in which we show some nugget facts and statistics, such as where the authors come from, and where the nuggets are being read. Figure 1: A collage of all the nuggets so far. Figure 2: Where in the UK the nuggets have been written, plus two future authors (in black). The UKSP nuggets are written by authors throughout the UK (and very rarely just outside, see Figure 2) and we are always on the lookout for new contributors to write clearly about their latest UK-led solar research. We are very keen to hear from authors from UK institutes which have not yet contributed nuggets, or topics in UK solar research which are a bit under-represented. If you would like to volunteer to write a nugget please contact us either directly or via the submission page. Since we launched with the 1st UKSP nugget in July 2010 we have had over 20,000 page views and over 16,000 unique page views. The majority of the readers are from the UK (46.1%) but our readership comes from 98 different countries worldwide. The rest of the top ten are USA (15.3%), Russia (5.1%), India (4.4%), Germany (3.1%), China (2.8%), Ireland (2.3%), Japan (2.3%), France (2.0%), Spain (1.8%). A full breakdown of the cities the UKSP nugget readers are located (based on where google analytics think their ISPs are located) is shown in Figure 3 for Europe and Figure 4 for the whole world. The most popular location is unsurprisingly where the nugget editors are working on the posts, but for some reason we also appear to be very popular in Nizhny Novgorod. 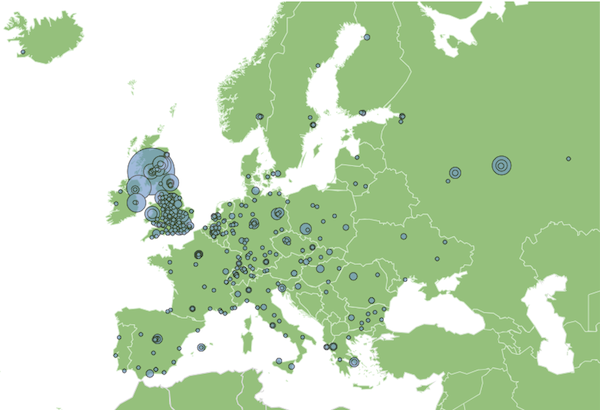 Figure 3: Where in Europe UKSP nuggets readers are based (thanks to google analytics). 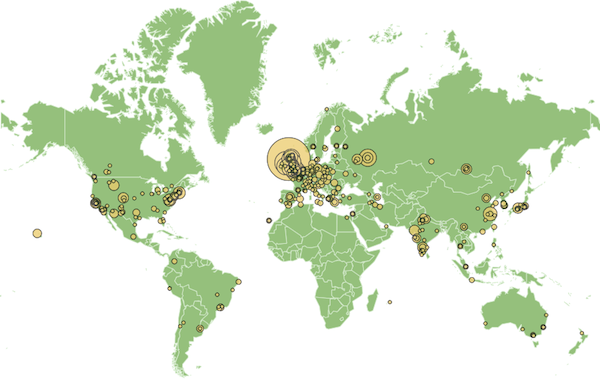 Figure 4: Where in the world UKSP nuggets readers are based (thanks to google analytics). 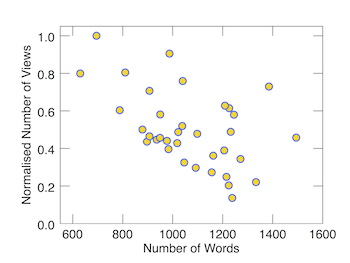 Figure 5: The number of normalised unique page views for each UKSP nugget versus their word count. The most popular nuggets generally have the fewest words, see Figure 5, and as little technical jargon as possible. Animations help too but having SDO/AIA in your title helps even more. Typically, the nuggets will get a few hundred views on the first few days they are first published and advertised via the Max Millennium, UKSP and AAS/SPD mailing lists. In the long term, the nuggets at least double that number of views (and in some cases greatly exceed this) with steady traffic coming from search engines. 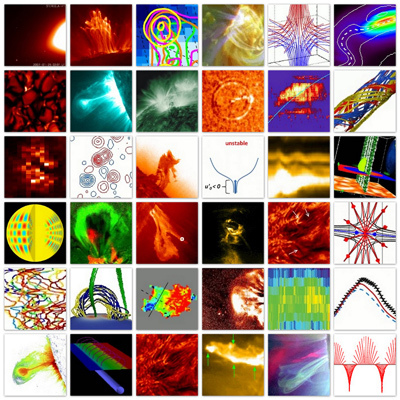 For many solar physics topics the UKSP nuggets appear high in the google search results: try “aia response” or “solar polar crown”. A massive thank you to all the authors for taking the time to write their UKSP nuggets and thanks also to all those who have taken the time to read them. If you would like to volunteer to write a future nugget please contact us either directly or via the submission page. We’d also love to hear your comments and suggestions about UKSP nuggets.